Just letting you know that there is a great show going on tonight (Fri. 6/26) at The Firebird that you would be wise not to miss. 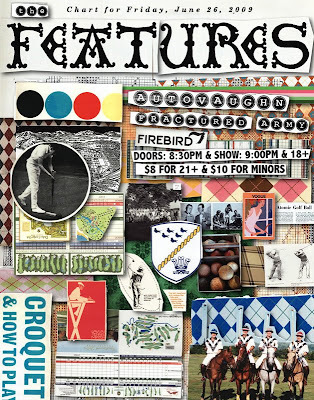 One of our favorite bands, The Features, will be taking the stage with Autovaughn and Fractured Army. We've been listening to the Features for quite some time now, and they just keep getting better with every record - last year's Some Kind Of Salvation is quite the jam. These guys really light a fire on stage, which we witnessed when we opened for them in Lexington, KY last year, so here's to hoping none of you miss out on this one. Seeya there! Thanks! and show tonight at Off Broadway!